Stone China. Lovely cup with pretty flower detail to the inside rim. 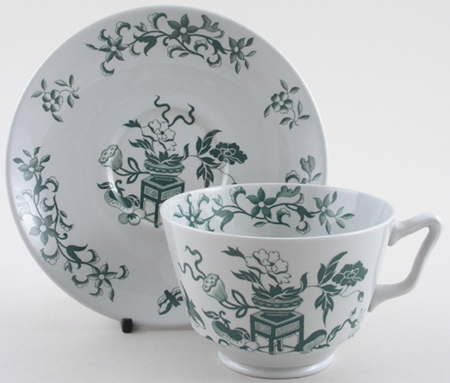 Backstamp: Green printed Copeland Spode England New Stone Bowpot Most of the saucers impressed with date for November 1953. Minor wear to the foot, but overall excellent condition.